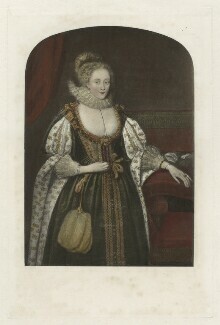 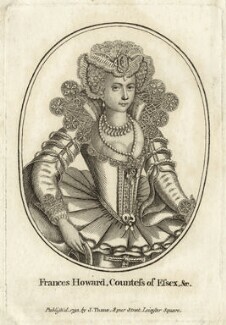 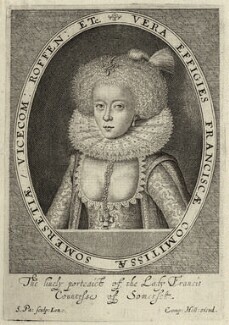 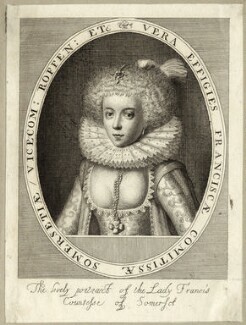 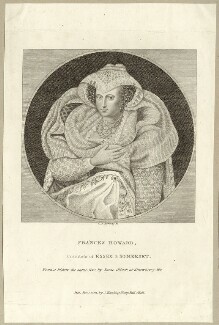 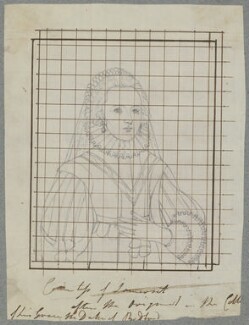 A famous beauty, Frances Howard was divorced from Robert Devereux, 3rd Earl of Essex in 1613 and married Robert Carr, Earl of Somerset, a favourite of James I. 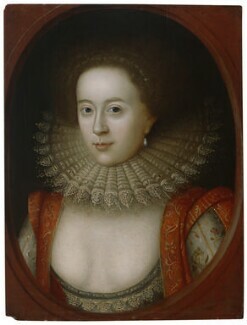 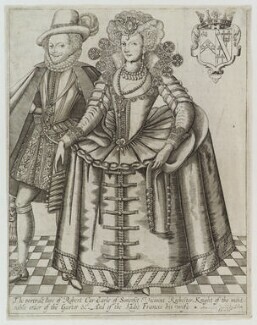 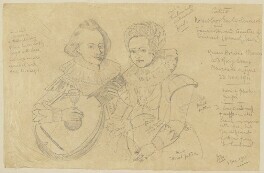 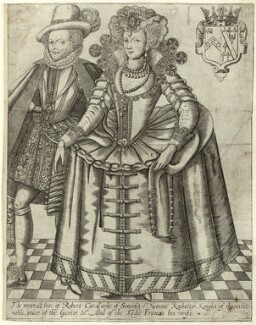 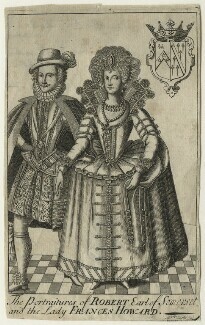 In 1615 she and her second husband, along with several accomplices, were convicted of poisoning Sir Thomas Overbury, who had opposed their marriage. 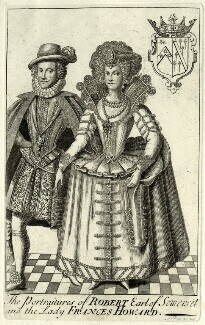 Although the couple were imprisoned until 1621, they were later pardoned of their crime. 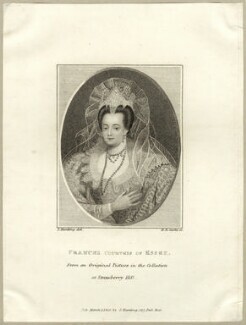 History, and their contemporaries, judged Frances more harshly than her husband. 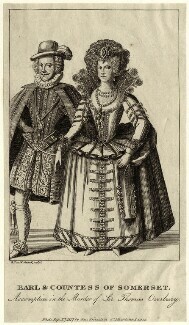 It was said of Somerset: 'If he had not met with such a woman he might have been a good man'.